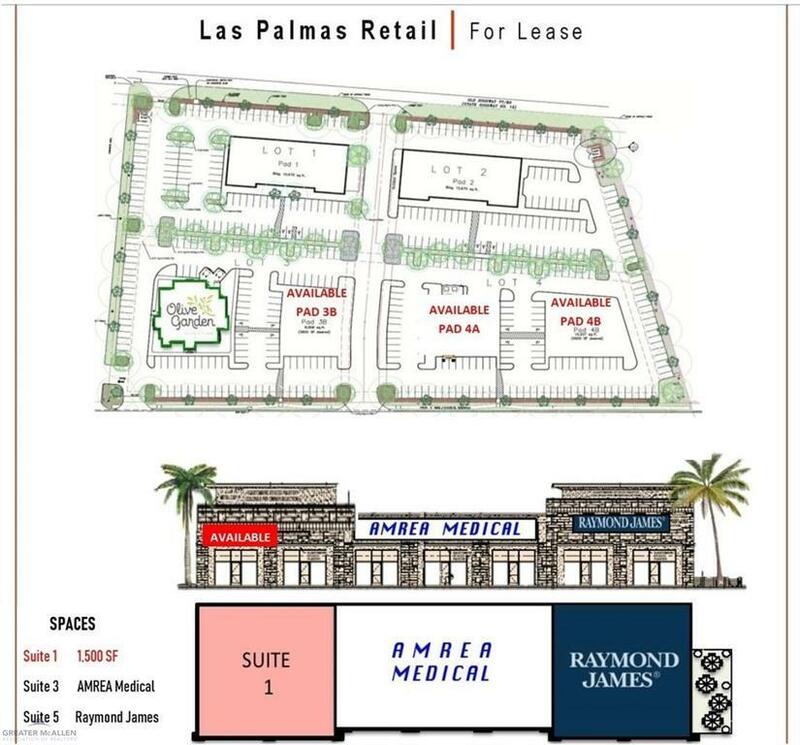 The Las Palmas Retail Center is a new-construction development in the heart of Brownsville, TXs rapidly growing Expressway Corridor. 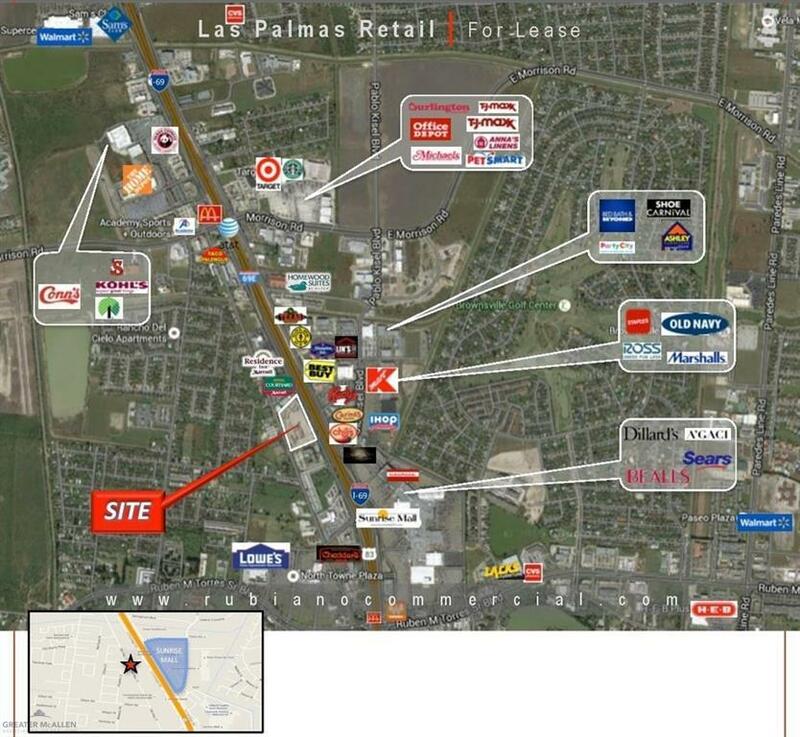 The location is prime for any user and sits among an area with high, business demand. 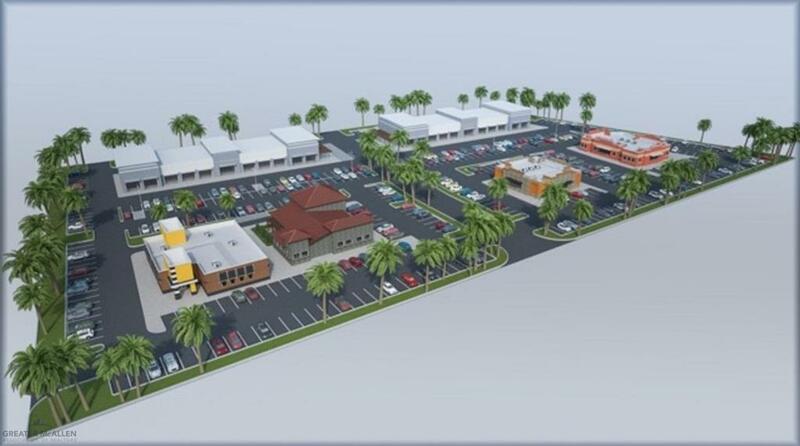 The area has a National tenant mix, is located across the Expressway from Brownsvilles Sunrise Mall, and has excellent frontage and visibility from Expressway 77/83 (I-69).